Some people believe that low carb diets limit the choice of foods for breakfast, lunch, and dinner. Diets such as the Paleo, South Beach, and Atkins promote healthy lifestyle and offer diverse menu options. The importance of healthy breakfast should not be underestimated as it supplies valuable nutrients. Moreover, studies have shown that people who often skip breakfast gain weight. Obese adults and teenagers skip breakfast more often than people with normal weight. Obviously, breakfast is very important for overweight people who try to lose excessive weight. Breakfast options vary depending on the chosen dietary plan. Dieters on the South Beach diet choose their meals for each phase. During phase 1, they can have vegetables and a protein source such as meat or eggs. Healthy breakfast options include vegetable frittata, scrambled eggs, or sausage with egg and mushrooms. People can choose from a wide variety of breakfast options during phase 2. You can have ham and cheese omelet, veggie scramble with salsa, or Greek omelet. During phase 3, dieters enjoy zucchini muffins, pizzas, and oatmeal with walnuts. The Paleo diet offers sophisticated and simple recipes to suit everyone. You can prepare omelets, tacos, and mousses using Paleo ingredients. Breakfast recipes include zucchini cakes, deviled eggs with garlic and parsley, and tomatoes stuffed with eggs and pesto. The Atkins diet also offers tasty breakfast choices such as cottage cheese with strawberries and sausage and scrambled eggs. Good breakfast options are cheesy omelet, bacon and eggs, and breakfast meatballs. 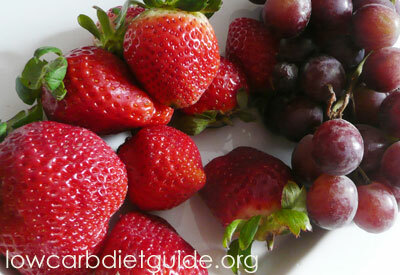 The GI diet emphasizes the importance of eating foods with low glycemic index rankings. There are plenty of delicious recipes to try, and they are quick and easy to follow. Great breakfast ideas include oatmeal muffins, scrambled eggs, and bran muffins. Many recipes can be modified to meet the low GI requirement. You can check the glycemic index ranking of every product to decide whether you can use it or not. As a rule, products with a GI of 70 or higher are considered high GI foods. Foods with a glycemic index ranking of 55 and lower are low GI foods while those in between have medium GI. Low-fat ice cream, for example, has a low GI (50) while rice pasta has a high GI (92). Try to prepare your breakfast using products with a low glycemic index ranking. These include macaroni, fettuccine, porridge, and multi grain bread. The Zone diet is not based on glycemic index rankings but emphasizes the importance of eating low-carb foods. Dieters should consume protein sources, fat, and carbohydrates in a properly balanced ratio. There are many healthy recipes for people who are looking for easy breakfast ideas. You can choose from omelets, casseroles, quiches, and spreads. For example, you can prepare bacon omelet, French toast, turkey bacon and cheese, etc. The most important point to remember is to control your portions and choose balanced meals with carbohydrate, protein, and fat. Make sure you avoid foods such as potatoes and pasta and fruits with high sugar content (e.g. raisins and grapes). If you don’t have time to cook in the morning, you can order products from a low-carb store. You will find a large selection of foods such as low carb pizza, gluten-free paleo bread, and low carb cinnamon muffins. Another option is to have your meals delivered by a service that specializes in diet menus. They offer meals suitable for different diets, including the Atkins, Paleo, and South Beach. Delivery services offer a selection of breakfast, lunch, and dinner options. You can have sweet potato pancakes, stuffed French toast, or crepes with ricotta and spinach. Whether you cook at home or have your meals delivered, make sure you eat fresh food that is tasty and well portioned. Having a nutritionally balanced diet with delicious meals is the best way to make sure you stick to your meal plan.